Imprisoned Palestinian journalist Mohammed al-Qeeq announced on Monday evening, 6 February, that he is launching an open hunger strike to demand his release and an end to administrative detention. Earlier on Monday, he was ordered to six months in administrative detention without charge or trial. Al-Qeeq, 34, previously won his release from administrative detention, Israeli imprisonment without charge or trial, with a 94-day hunger strike that drew widespread Palestinian and international attention and highlighted the issue of arbitrary imprisonment and the repression to which Palestinian journalists are subject. He was released in May 2016. Since his release, he has been a vocal activist on prisoners’ rights issues and an advocate for the freedom of Palestinian prisoners. He was seized by Israeli occupation soldiers on 16 January at the Beit El checkpoint near Ramallah as he returned home from a demonstration in Bethlehem to demand the return of the bodies of Palestinians killed by Israeli occupation forces; their bodies are currently detained by the Israeli state. Since that time, his detention was repeatedly extended as he was held under interrogation; Israeli occupation officials previously announced their intention to accuse him of “incitement” over social media, but apparently failed to produce any evidence or obtain a “confession” from al-Qeeq despite extensive interrogation. He is currently among over 530 Palestinians held without charge or trial under administrative detention. Administrative detention orders are issued on the basis of “secret evidence” and are indefinitely renewable; Palestinians have spent years at a time imprisoned under administrative detention orders. 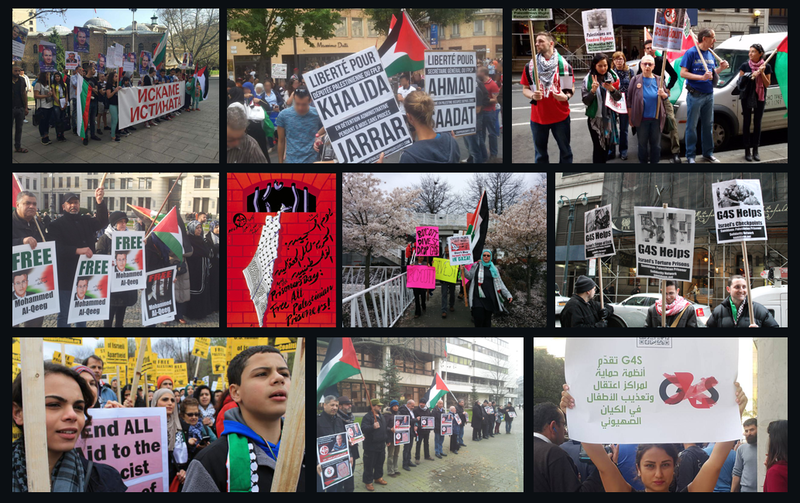 Protests have taken place in multiple Palestinian cities in support of the Palestinian prisoners and the “prison intifada.” Al-Qeeq’s hunger strike is the latest development in this growing struggle inside the prisons. A protest will take place tomorrow morning at 11 am at Manara Square in central Ramallah in support of al-Qeeq and his fellow Palestinian prisoners.